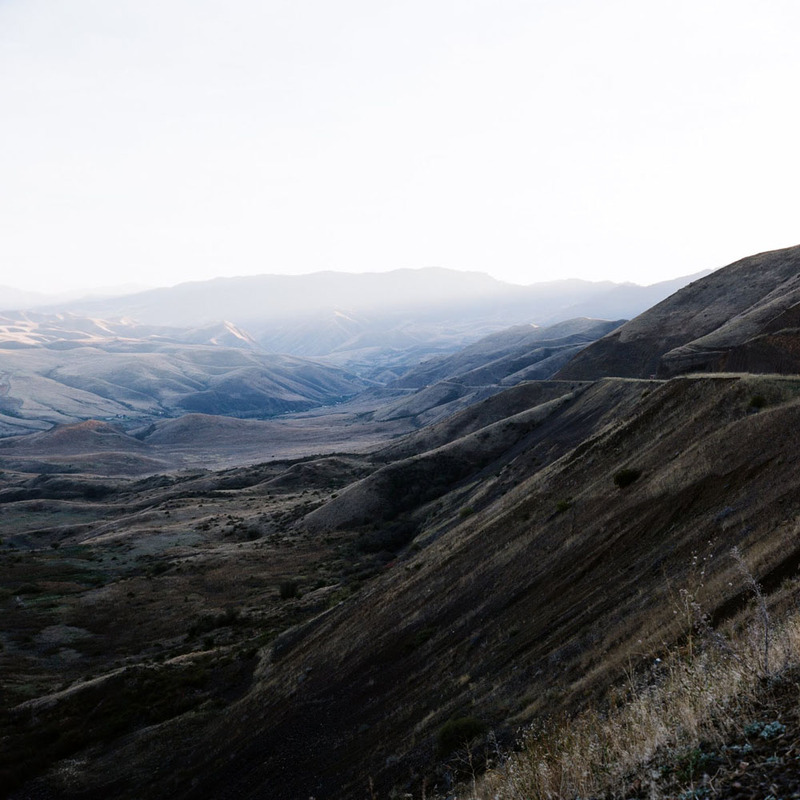 As you leave the canyons of the Salmon River in Idaho on your way to Lewiston and Moscow, the road rises up a steep and steady grade up to the Palouse plateau. The last stop before the road rises up is Whitebird, Idaho. Whitebird is a little town on the banks of the Salmon river. You don’t go to Whitebird unless you have business do to there. It’s off the highway and down the road far enough to keep itself separated from traffic. It’s literally nestled in a small draw formed by the river. It’s made up of trailer parks, saloons and a couple of churches. I drove through at twilight one evening. I thought that it’s tall trees and small streets were the ideal location for a horror movie. In the photo above it’s the green/brown cutaway left of the cut of the highway in almost the exact center of the photograph. It reminded me of an experience I had many years ago in Hewitt, Texas. I served in Waco, Texas on my mission back in 1993. A few months before my arrival, David Koresh made Waco famous by claiming to be the chosen one sent to open the seven seals. The ATF disagreed and raided his compound. It burned down killing 54 adults and 21 children. Things were tense in the town of Waco after that event. I was from the west where most everything is on the up and up so it was a new sensation for me to see a place on a major down-swing. It was a sad town to me. Downtown Waco was in a state of dilapidation; everything was abandoned and empty. The atmosphere was one of decline and depression. I had just moved from Austin. Austin was a vibrant, upscale and exciting city. I felt proud to say “I just moved from Austin.” thinking that people might think more of me because of that. There was a sleepy little bedroom community just south of town named Hewitt. It’s got a Dairy Queen and several neighborhoods filled with middle class homes. I constantly wondered why someone would choose to live out there. A church member invited us over for dinner one night. He lived in a small, white, organized house with a postage stamp yard filled up with a gigantic pecan tree. We ate dinner in the same room as the TV and a dark, tall upright piano. Dinner was good- simple but good. Still full of pride for the splendor of Austin I asked why he chose to live in Hewitt. “Everybodys got to be somewhere.” he said. I laughed out loud but he looked at me with a serious face. I stopped laughing. I realized something very important about life and people at that moment. The dignity of mankind is found everywhere on earth. It had never occured to me that his life, the citizenry of Waco’s lives and people everywhere possess the dignity of humanity. My judgements upon the people of Waco, Hewitt, and this nice man, were unkind, childish and ignorant. It was an important moment for me. I felt the sting of regret and embarrassment for what I had said and done but I discovered that people, no matter who they are, where they live or what they do deserve respect for what they do and who they are. Whitebird, Idaho included.